Designed to coordinate with our popular Clip line of sectional sofas, but versatile enough to match with other sofas and sectionals, the Toasted Clip table ottoman features a brushed bronze base and can be upholstered in one of our many fabrics or leathers as well as COM. 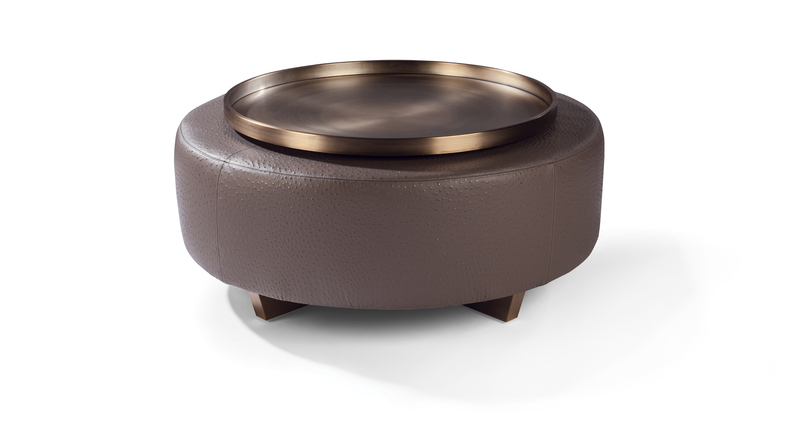 A matching brushed bronze tray is also available (No. 1316-08-B) as well as wood trays in any of our TC wood finishes. Shown with 34 inch diameter No. 1316-08-B brushed bronze tray. Base is brushed bronze.